Like the Freedom Riders and the Student Non-Violent Coordinating Committee in the United States, the student activists in the former Yugoslavia envisioned a better world, taking incredible risks to make their dreams come true. Optimism, energy, and imagination conjure new possibilities, even in the midst of chaos. Told with honesty and deep conviction, this memoir will resonate with a growing audience of readers who are tired of political warmongering and share a longing for effective nonviolent alternatives. “Luckily for us, Back had acquired the habit of journaling, and as a result we have this careful record and narrative of a self‐driven peacemaker bravely traversing territories—Serbia, Croatia, Bosnia and Herzegovina, Vojvodina, Republika Srpska, and Kosovo—that appeared in the news in nightmarish headlines. . . . What she experienced was a terrain filled with chilling encounters with the official world, alternating with heartwarming respites in intimate family circles. 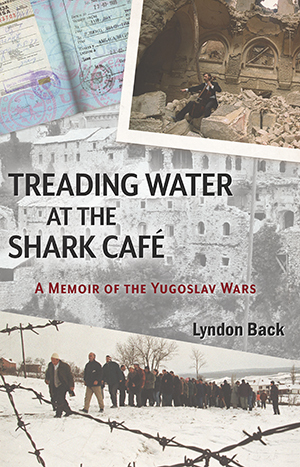 “Treading Water at the Shark Café is a fascinating glimpse into the heart and mind of a Quaker woman who commits herself to helping the young people of the war-torn former Yugoslavia through non-violent strategies. It is a rich cultural experience for the reader. “She tells the story with honesty and clarity, revealing her deep convictions and passion for her work as a volunteer for Balkan Peace Team. Through vivid sensory details, the setting and her characters come alive on the page. The suspense, building tension, and conflict kept me turning the pages. As a reader, I admire her drive and courage in traveling alone to a dangerous part of the world and fulfilling her mission of create educational opportunities for the young people of the country. Lyndon Back graduated from State University of New York at Oneonta in 1968. She then moved with her husband and three children to Vicenza, Italy, where she taught English as a Second Language. She has a CELTA/TESOL certificate from the School of International Training in Brattleboro, Vermont. In 1979, Lyn received a master’s in public administration from State University of New York at Albany. Her competency in Serbo-Croatian was earned at the Akbukum Language School in Novi Sad, Serbia. In 1998, Lyn left her job as director of planned giving at the American Friends Service Committee to volunteer with the Balkan Peace Teams in Belgrade, Serbia, and Prishtina, Kosovo. She was one of only a few American women to live and work in the former Yugoslavia before, during, and after the NATO bombing. Lyn lives in suburban Philadelphia. Her experiences in the Balkans continue to influence her writing. Her poems, essays, and short stories have appeared in numerous literary journals. 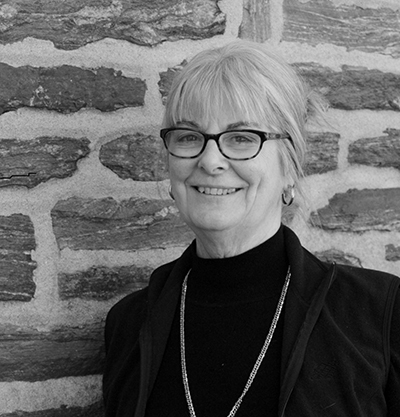 Lyn is a member of Old Haverford Monthly Meeting (Quakers).